Tired of late deliveries, errors, broken promises and inferior fasteners from other distributors? Our remarkable 99.96% reliability and accuracy rating is a testament to the superior service we offer. 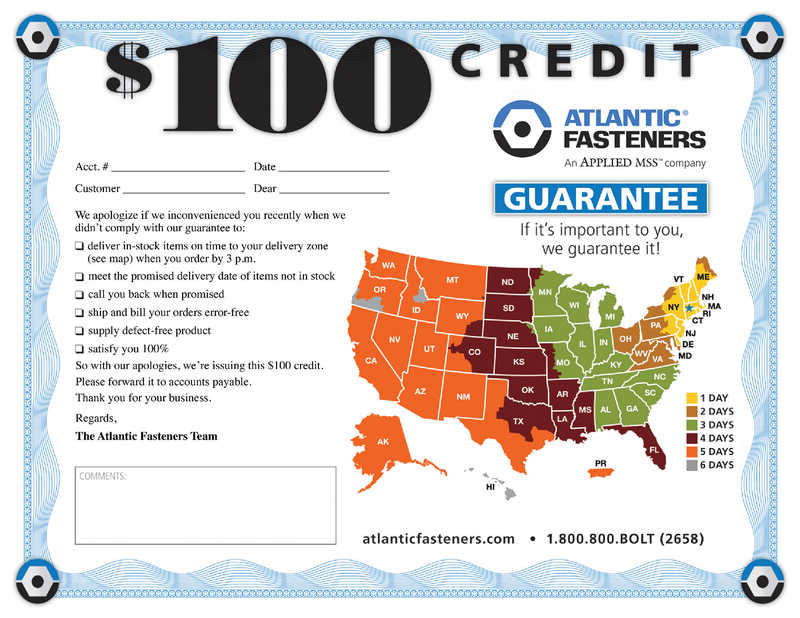 And anytime we fail to meet your expectations, you'll receive a $100 credit towards a future order.